From this, the exhibtion Alberto Giacometti: In his own words at Luxembourg & Dayan was curated. 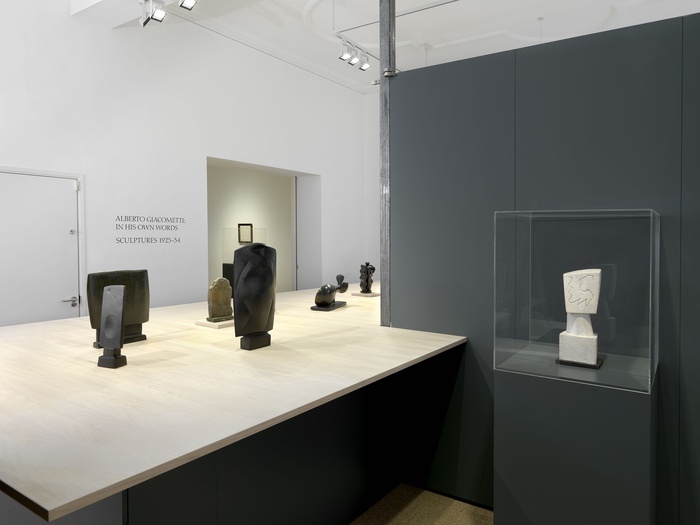 All pieces in the exhibition are from 1925-1934, a period of Giacometti's life and career which perhaps is not always as celebrated as it should be. The show offers a rare peek into Giacometti's development and artistic struggles, which were the catalyst to his later, more recognisable works. 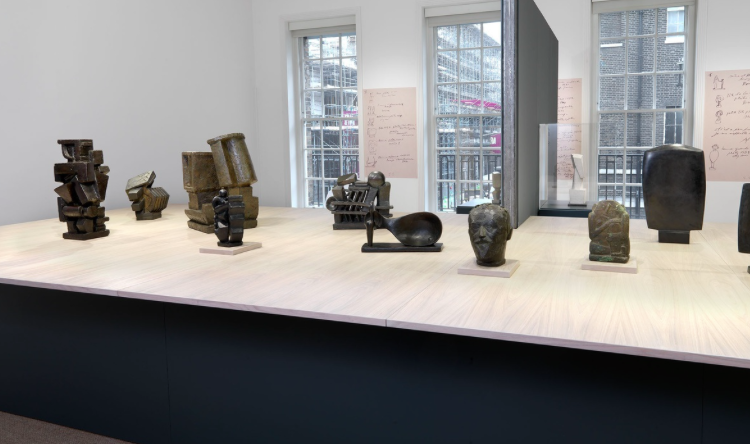 With more than 18 sculptures, many of which have never been exhibited in the UK before, the collection reminds us just why Giacometti continues to be hailed as one of the 20th century's most important artists. The works really capture a sense of Giacometti's troubles, his relentless pursuit to express truth in his work in a manner that is existential. During this decade, memory was fundamental to Giacometti and at the same time, we see how he experimented with Primitivism, Cubism, and Surrealism. To explore the importance of this radical body of work, Luxembourg & Dayan hosted a talk with artist Antony Gormley, Casimiro Di Crescenzo, the foremost scholar of Giacometti's early career and Acting Deputy Director of the Sainsbury Centre Calvin Winner chaired by Yuval Etgar, Researcher at Luxembourg and Dayan and doctoral student in Contemporary Art History and Theory at the Ruskin School of Art, University of Oxford. The three speakers were asked to chose a work from the exhibition to discuss in terms of what it meant to Giacometti's artistic exploration for what he saw as his 'truth.' Casimiro Di Crescenzo selected Torso, a piece which marked a turning point in Giacometti's career. Three years prior to the sculpture being executed, Giacometti had been studying sculpture and life drawing under Emile-Antoine Bourdelle at the Academie de la Grande Chaumiere, Paris. At this point in his career, Giacometti was completely dissatisfied with working from life. Torso, was made entirely from memory, and one of this first works of Giacometti's made in this way to be exhibited. Winner chose to look at Femme from the exhibition, a simplified form which is in stark contrast to Giacometti's later works. Femme is ''soft and tender.'' Winner pointed out the importance of Giacometti in British art, as at the same time British artists such as Henry Moore were going to Paris and meeting artists including Giacometti. Gormley selected Objet désagréable à jeter (Disagreeable Object to be Thrown away) a piece which he described as ''liberation of sculpture from presentation.'' The piece comes from a time when African art was making its way through the Paris art scene, a time when the object was powerful and ''became a fetish.'' This piece, which was originally intended for the floor and not to be displayed in the conventional sense, ''liberated sculpture back into the world'' not on a plinth. A sentiment which Gormley pointed out is still relevant today, referencing Louise Bourgeois cradling her public works. Alberto Giacometti: In his own words at Luxembourg & Dayan has been curated in collaboration with the Fondation Alberto et Annette Giacometti, the Alberto Giacometti Stiftung, the Pierre and Tana Matisse Foundation, The Morgan Library, and other private lenders. This is the most comprehensive exhibition to date focusing solely on this period of Giacometti’s oeuvre. The exhibition will be accompanied by a catalogue with a new essay by Casimiro de Crescenzo. For more information, see here.